As-Salamu `alaykum. Is it wrong to shape one’s eyebrows if they are too broad? Dear questioner, thanks a lot for your question, which reflects your care to have a clear view of the teachings of Islam. Allah commands Muslims to refer to people of knowledge to become well acquainted with the teachings of Islam in all aspects of life. As for the issue of shaping one’s eyebrows, it is controversial among Muslim scholars. Some scholars consider it permissible to shape or trim one’s eyebrows if they are excessively long or thick for the purpose of appearing neat and tidy. There is a difference of opinion among scholars regarding whether one is permitted in Islam to shape or trim one’s eyebrows. According to a group of scholars, shaping one’s eyebrows is considered forbidden, and they cite the following statement of the Prophet (peace and blessings be upon him): “Allah has cursed women who tattoo their bodies, wear false hair, those who pluck their eyebrows, and those who artificially widen gaps between their teeth.” They say that shaping the eyebrows or trimming them falls under the same rule. As opposed to the above, other scholars consider shaping eyebrows or trimming them to be permissible. They say that the prohibition in the above hadith specifically refers to plucking eyebrows, and it is prohibited because it is akin to mutilation, and also it is more likely to result in defaming one’s face. As opposed to this, shaping the eyebrows if they are excessively long or thinning them if they are excessively thick, is enhancing Allah’s creation rather than mutilating it. Its analogy, therefore, is to trimming the mustache or cutting hair, and so on, which are not only permissible but may also be recommended. 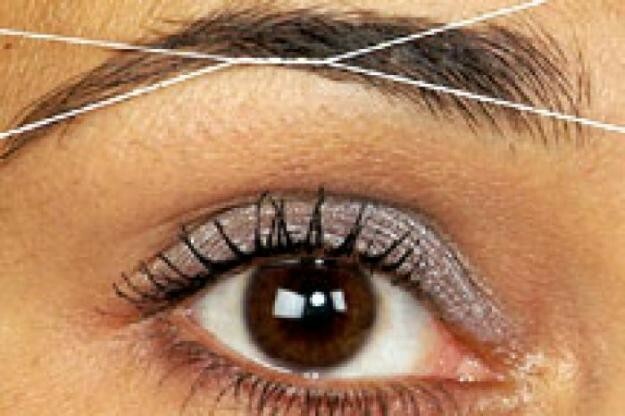 In light of the above, according to these scholars, it is considered permissible to shape or trim one’s eyebrows if they are excessively long or thick for the purpose of appearing neat and tidy.